The all new Mini Bundts, which are donut-like pastries, are new for 2015. 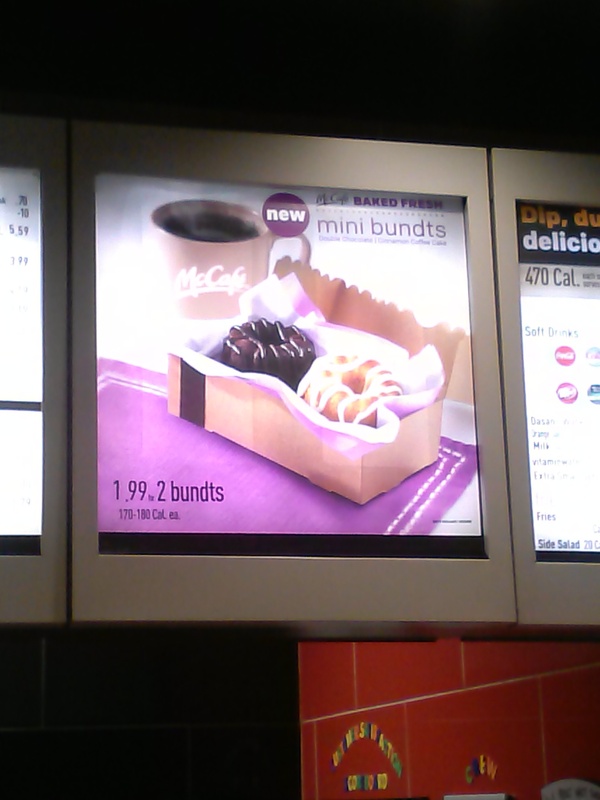 The price at this McDonalds was 1.99 for two ‘bundts’. The calories for ONE of the bundts are 170-180 calories. The call them Mini Bundts. The menu display as seen during breakfast. Didn’t try these, but we are thinking they are more cake-like than donut-like. It also looks like you have to buy two at a time. Great with coffee? Probably.